The networking cover letter is sent during your job search to get help from a contact in your industry or career field and to introduce yourself to a potential employer. It is an excellent opportunity to network for the job you want. Networking is a highly effective way of finding a job. According to the U.S. Bureau of Labor Statistics, 70% of all jobs are found through networking. Networking can uncover job opportunities that might not be advertised yet or can create a job opportunity that did not previously exist. You can adapt this sample networking letter for your own use. Steven Fellows of Sales suggested that I contact you in regard to applying for a position as an Administrative Assistant. I have recently re-entered the job market and have over 8 years experience in an administrative capacity. My goal is to secure a busy administrative assistant position in a professional company. If you are looking for a results-driven and hardworking administrative professional who is always willing to go the extra mile I would welcome the opportunity to discuss your company's needs further. I will call your office next week to answer any questions you may have and to discuss the possibility of meeting with you. How do I write a cover letter for my resume? A resume without a good cover letter can easily be overlooked. 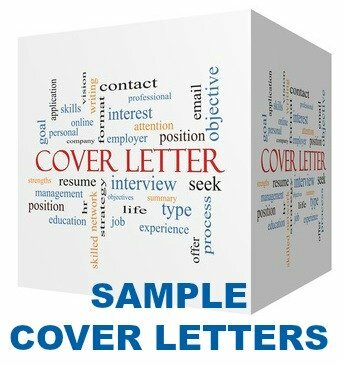 We have over 50 excellent sample cover letters that will get your job application and resume noticed. Full set of sample cover letters to adapt for your own use. These cover letter tips will help you write your own winning cover letter. Cover letter formats that work. Cold cover letters that will boost your job search. 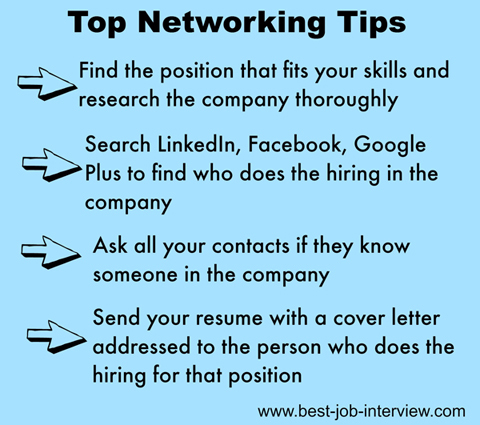 The key is to find an individual in the company to address your networking cover letter to. Sending a resume blindly to a company usually results in failure.